Organic. Source of fibre. 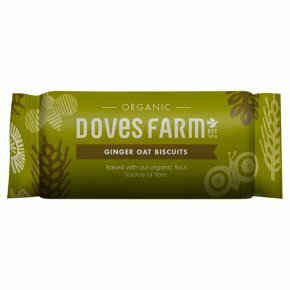 Suitable for vegans.With intense stem and spicy ground ginger, these zingy biscuits are a winner. Baked with oats, certified sustainable palm oil and a touch of malt for richness. These moreish biscuits are great at any time of day with a cup of tea or perhaps enjoy them with a fresh spreadable goat's cheese?